Obtaining legal advice is a necessary part of doing business. When it comes down to contracts and business organizations, The Houston Law Firm, PL can assist you without the substantial expense of hiring a staff lawyer. We also offer small businesses continued representation to facilitate contract review,negotiations, and accounts receivable collection assistance for an affordable monthly retainer. We provide our clients the personal service they require in a cost effective and time efficient manner. Our goal is to protect our client's interest, and help the business to thrive. The formation of a business entity entails many choices: Corporations, Limited Liability Companies, and Partnerships. Attorney Kathy L. Houston can assist clients in chosing the appropriate type of business entity for their particular situation, assist with the formation of the entity, and help the owners understand the responsibilities required to maintain the entity. In these economic times, sometimes dissolution of a business is necessary. Our attorney can guide you to make the difficult decisions that may be required. At The Houston Law Firm, PL we can help you plan for the unexpected to protect your family and assets. Attorney Kathy L. Houston can guide you with compassion and understanding through what can be a daunting process otherwise. At our law firm you will receive individual attention, whether your needs include drafting a will, the creation of a trust, drawing up documents to ensure your medical providers act in accordance with your wishes, or setting up or maintaining a guardianship for a loved one. In the last few years our country has undergone a housing crisis caused by the sub-prime mortgage practices of the banking industry in the early and mid 2000's. The failure of these sub-prime loans has left millions of homeowners with mortgages they no longer can afford, resulting in foreclosure suits by the lenders. 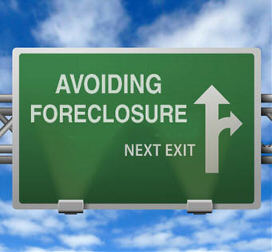 If you are facing the loss of your home, please keep in mind that while the foreclosure process is a serious matter, you do not need to navigate it alone. We urge homeowners to retain qualified counsel to ensure that their rights are being protected and all available foreclosure options are attempted. At our law firm, we take the time to analyze each case independently and prepare the best defense strategy for the benefit of the client. Whether the case requires challenging the bank's right to maintain the legal action, or negotiations are necessary for approval of a loan modification or a short sale, we can assist you. Please call or email us today for a free consultation. If you find yourself underwater in your home loan, we can help you find alternatives to foreclosure. You may be able to obtain a loan modification through the different programs which banks offer, and the ones promoted by the Government -- one of the most famous being the HAMP Loan Modification Program (Making Home Affordable). These loan modification processes require a large amount of paperwork and a cumbersome process. After April, 2012, when most of the major banks signed a settlement agreement with the federal government, the time to obtain a loan modification has never been more favorable. Under the settlement agreement, homeowners may benefit from a loan modification, reduce the interest rate on their mortage, and in some cases, even obtain a reduction of a portion of the principal owed to help them keep their property. Please contact us for a free consultation. The purchase or sale of a home is one of the most important financial transactions we may undertake in our lives. Whether you are looking to purchase a new home, or contemplating the sale of your property outright or as a short sale to avoid foreclosure, our law firm can help to expedite the process. When financial circumstances become overwhelming, bankruptcy may be an option to regain control of your life. While it should be a last resort, bankruptcy can be the first step to recovery. If you are experiencing financial troubles or are in danger of imminent foreclosure, garnishment of your wages, or facing debts that you can't meet, call us for an initial consultation. As a debt relief agency, we can help you determine whether bankruptcy is the best option for you and will help you get back on the road to financial freedom. To schedule your free consultation, please call us at 305-420-6609. Are you overwhelmed with debt? Afraid to answer your phone for fear that it's another bill collector? Whether you need negotation or settlement of credit card debt, or defense of litigation brought against you, we can assist you to navigate the collections process and gain peace of mind once again. Feel free to consult with our attorney for a no-obligation review of your situation.